Children at Meadows First School love maths! We place great emphasis on learning through games, problems and practical tasks coupled with an uncompromising goal of learning and memorising key facts such as times tables as soon as possible and using high quality concrete resources throughout the school. 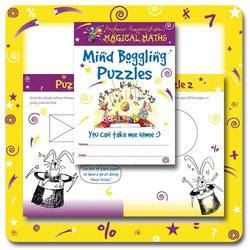 This approach creates real mathematicians and develops pupils problem solving, reasoning and procedual fluency. Our approach is fully described in the link below. At Meadows First School, we believe pupils must not simply rote learn procedures but demonstrate their understanding of these procedures through the use of concrete materials and pictorial representations.Our calculation policy outlines the different calculation strategies that should be taught and used in Years 1-4, in line with the requirements of the 2014 Primary National Curriculum. The expectation of using formal methods is rightly coupled with the explicit requirement for pupils to use concrete materials and create pictorial representations and this is featured throughout our policy. 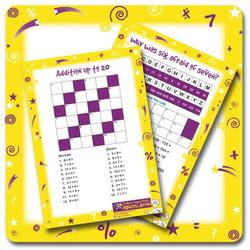 Below is a link to for guidance and information on helping your child learn their timestables. We have made four short videos for parents to explain how we teach the 4 core formal operations in mathematics. In particular we want parents to understand the expanded methods we use along the journey to the formal 'compact' method. EducationCity is the engaging and fun way to learn for children. Packed full of educational games and activities, and now with its own Fan Club community, EducationCity is the number one website for children. It is award-winning, used in over 15,500 schools and in many thousands of homes, and research in schools has shown that students' exam results improve as a result of its use. Every child at Meadows has a login so they can access their own account. In KS1 the login is in the Reading Record book, in KS2, you will find your child's login at the back of their planner. Use the url www.networcs.net to access the Worcestershire Learning Gateway, enter the child's user name and click 'Log in'. The pictures for the password will appear. Links to Education City and other fun sites can be found here. If your child has lost their login please feel free to come and speak to their class teacher. 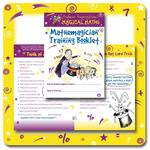 Magical Maths is an afterschool maths club for children in Years 3 and 4 . Magical Maths sessions are quite the spectacle; we’ve had a genius professor, world class detectives, mind reading magicians and eccentric athletes, all dedicated to making maths fun Meadows First School. After hearing "parachute games", the children were very relieved to find out they weren't going to be jumping out of a plane this week. (Our 'Magical Maths Plane' is currently undergoing repairs...maybe next time!) Rather, they'd be holding an edge of our giant parachute and answering maths related questions. Do You like our Maths Displays?